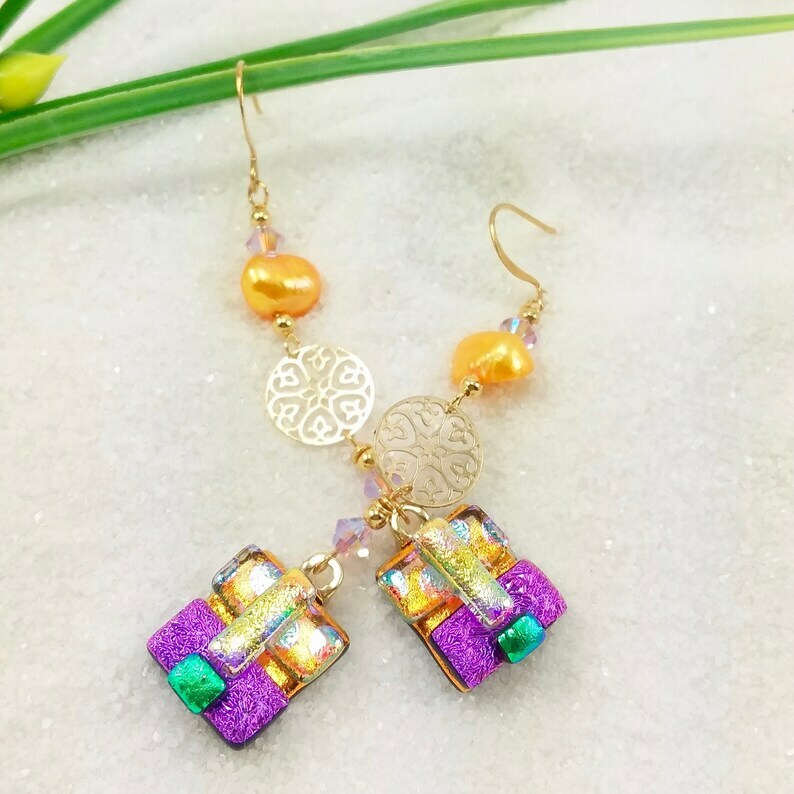 Luscious dichroic orange, that lovely violet-pink, emerald green, light aqua squares and shimmery yellow! They dangle from matching Swarovski crystals, golden-orange "pearls" and gold plated charms. They are set with elegant gold-plated bails & ear wires! Gold-plated disk charms for extra fun!